If you couldn’t get in to Soldier Field to see the Grateful Dead’s final performances this weekend, you can still say a virtual farewell to the band. There are a number of ways fans can watch the performances in Chicago. 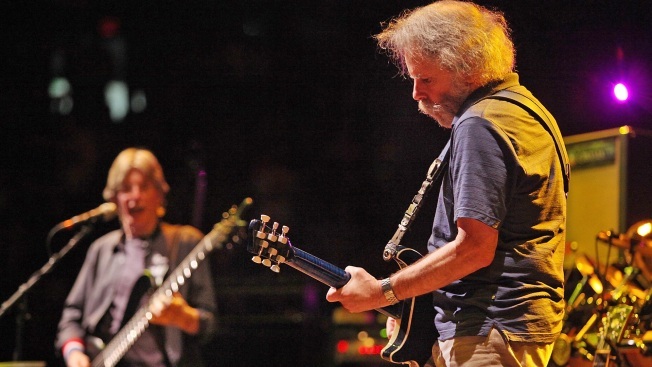 We’ve put together a complete list of ways Deadheads can tune in. Watch all of the Chicago shows live on your desktop or on any YouTube connected device. YouTube – A live stream will be available on almost any YouTube connected device, including Android, i0s, Chromecast, Apple TV, Samsun and Panasonic Smart TVs, Xbox 360, Xbox One, PS3, PS4, WiiU. The stream is only available live and can be purchased for $29.95 each night. Details here. MLBAM Webcast (including VOD)- Want to view all of the Chicago streams live or on-demand? A webcast subscription is available through MLBAM for laptop and desktop computers. Fans can purchase the stream for all three Soldier Field shows for $79.95 or for $29.95 a night and the stream will available on-demand for 30 days. Details here. You can order a live broadcast for each night of the show via Pay-Per-View. For a list of cable providers click here. SiriusXM users can tune in to the Grateful Dead Channel and access a live stream of audio of the final shows in Chicago. The channel will have special pre-show and post-show coverage and will rebroadcast the stream the following day. Click here for more information. The performances will also be broadcast live at movie theaters around the country. Details here. This is the only movie theater in town that is simulcasting all three nights of the concert. Tickets are $18, show starts at 7. City Winery will host three nights of live stream viewing parties. The event costs $18 for general admission. Doors open at 6 p.m. and the event starts at 7 p.m. The event will be standing room only. Tickets available here. The “Everything is Dead” bash at the Field Museum’s Southeast Terrace offers fans a day and evening of celebration right across from Soldier Field. The event will play the Sirius XM broadcast. It will also offer miracle chances every day for fans to win tickets to each show, autographed memoriabilia and Stanley Mouse artwork. The event starts at 2 p.m. Friday and tickets cost $49. Details here. Local Grateful Dead tribute act Terrapin Flyer headlines a trio of shows at Martyrs'. Before each show, the venue will screen the Soldier Field stream and pump the heady jams through its PA system. The event begins at 6 p.m. each night. Tickets will cost $30 and are available here. The Park West will of a streaming party July 3-4. Leftover Salmon will perform prior to the concert, a live stream will be projected on large screens, intermissions will feature acoustic sets by Leftover Salmon and each night will include electric sets by them. The band will also perform with Bill Payne of Little Feat on July 2. Three day passes available here. Redmoon Theater, 2120 S. Jefferson St.
Redmoon will host “FRONT LEFT A-FARE,” a three-day party celebrating The Grateful Dead’s 50th Anniversary. The party takes place July 3-5 and will feature broadcasts of all three nights of the event on a giant screen. Stu Allen and Mars Hotel will perform before and after the broadcasts. Click here for details.